They lived in America about 13,000 years ago where they hunted mammoth, mastodons and giant bison with big spears. 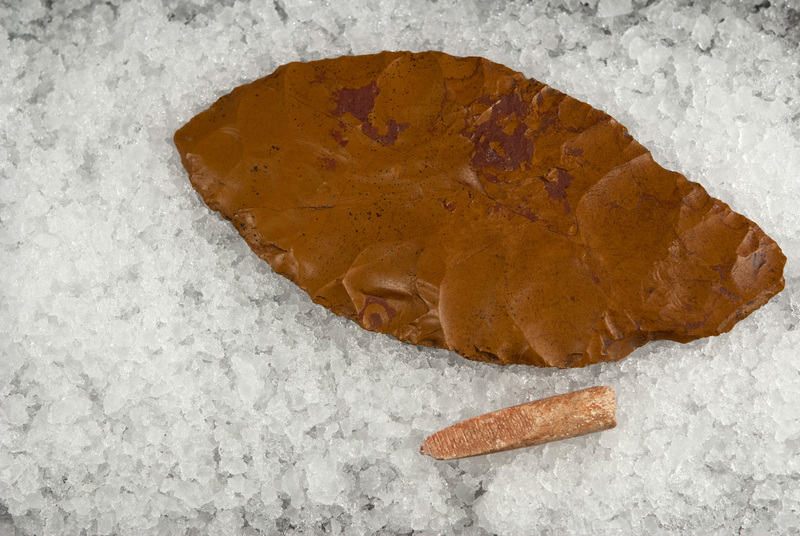 The Clovis people were not the first humans in America, but they represent the first humans with a wide expansion on the North American continent – until the culture mysteriously disappeared only a few hundred years after its origin. Who the Clovis people were and which present day humans they are related to has been discussed intensely and the issue has a key role in the discussion about how the Americas were peopled. Today there exists only one human skeleton found in association with Clovis tools and at the same time it is among the oldest human skeletons in the Americas. It is a small boy between 1 and 1.5 years of age – found in a 12,600 old burial site, called the Anzick Site, in Wilsall, Montana, USA. Now an international team headed by Danish researcher Eske Willerslev has mapped his genome thereby reviving the scientific debate about the colonization of the Americas. 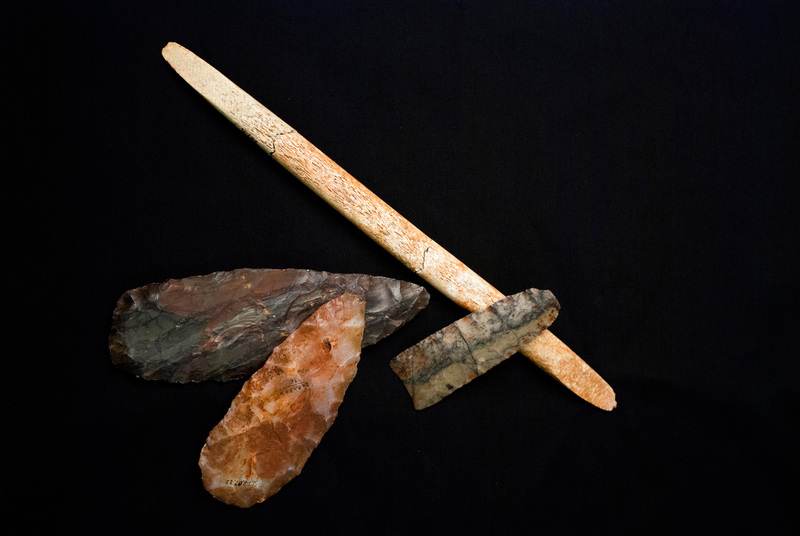 Lithic and osseous tools recovered from the only known Clovis burial site, discovered in Montana in 1968 and found in association with the Clovis-child, whose genome reveals close genetic affiliation with all contemporary Native Americans. (Photo: Sarah Anzick). - Roughly estimated some 80 % of all present-day Native American populations on the two American continents are direct descendants of the Clovis boy’s family. The remaining 20 % are more closely related with the Clovis family than any other people on Earth, says Lundbeck Professor Eske Willerslev from the Centre for GeoGenetics at the Natural History Museum of Denmark, University of Copenhagen. 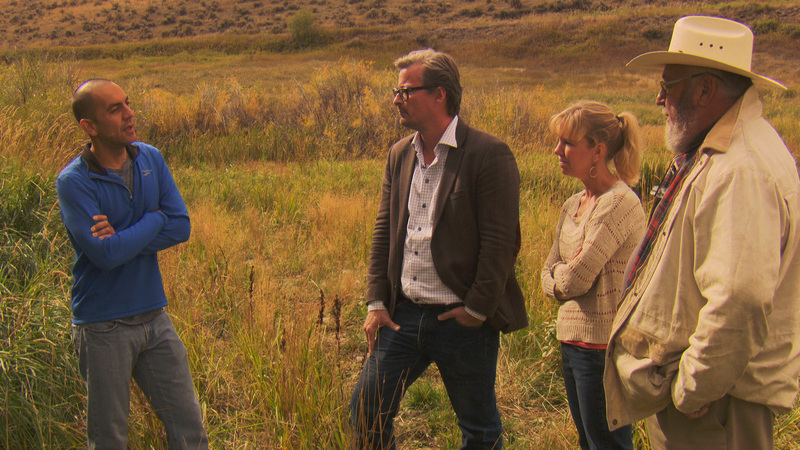 Shane Doyle (left) telling Eske Willerslev, Sarah Anzick and Larry Lahren about the history of the land. (Photo: Linus Mørk). - This also means that Clovis did not descend from Europeans, Asians or Melanesians, a theory that a number of scientists have advocated. They were Native Americans – and the Native American ancestors were the first people in America. This is now a fact. Shane Doyle and Eske Willerslev. (Photo: Teresa (Lilly) White). - This discovery by Eske and his team proves something that tribal people have never doubted - we've been here since time immemorial and all the ancient artifacts located within our homelands are remnants from our direct ancestors. But the discovery is only part of the importance of this study. 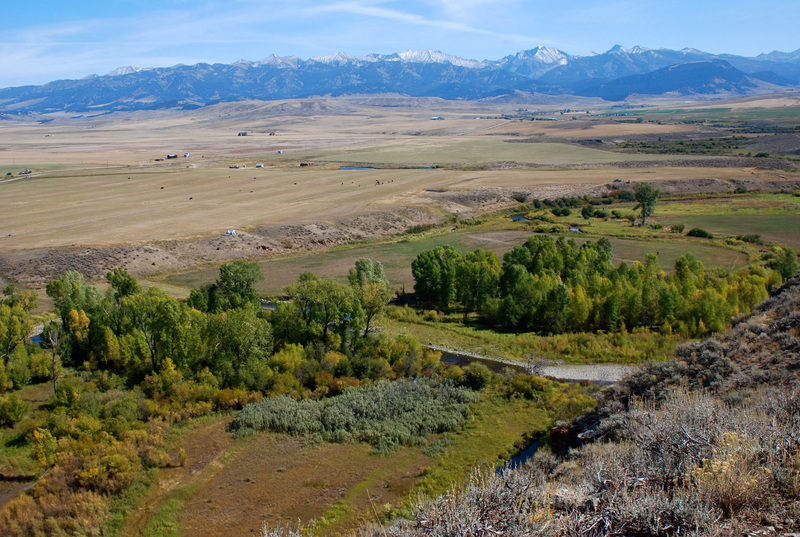 The other part being Eske and his team's respectful commitment to interacting face to face with tribal communities and listening to Native American leaders, which has lead directly to the reburial of this little boy." - After 46 years since the discovery on my family land, we are finally hearing this child's story through his genetic legacy. I find it remarkable that the descendants of the Clovis culture, which seemed to have vanished 12,600 years ago, are still alive and thriving today. 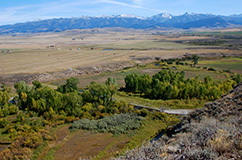 - The study validates the concept of continuity in the history of Native Americans, and suggests that modern Native Americans are direct descendants of the first people occupying this land, says Rasmus Nielsen, a co-author on the study and a Professor at UC Berkeley, who developed the method used for determining that many modern native Americans are direct descendants of the Clovis boy's family. - The genetic findings mesh well with the archaeological evidence to confirm the Asian homeland of the First Americans, more clearly define their genetic heritage, and is consistent with occupation of the Americas a few thousand years before Clovis. The findings do not support a western European origin of the First Americans as suggested by the Solutrean hypothesis. The genetic information provided by the Anzick boy is part of the larger story of modern human dispersal across the Earth and is shedding new light on the last continent to be explored and settled by our species. View from the top of the hill just over the site. (Photo: Sarah Anzick). - We can see that the Clovis boy shares about 1/3 of his genes with the 24,000 year old child from Mal’ta at the Siberian Lake Baikal who we have analyzed previously. The same goes for all present day Native Americans. Therefore the encounter between East Asians and the Mal’ta group happened before Clovis. The Clovis culture was named after the town of Clovis in New Mexico where in the 1930s the first characteristic Clovis spear points were found with mammoth remains. The Clovis people are the descendants of the first people to enter the Americas around 15,000 years ago. Clovis originated around 13,000 years ago and lasted for 400 years until 12,600 years ago. Clovis originated in the Americas south of the ice sheets that covered Canada at that time and is primarily confined to the United States and Mexico. This work has been carried out with financial support from the Danish National Research Foundation and the Lundbeck Foundation.